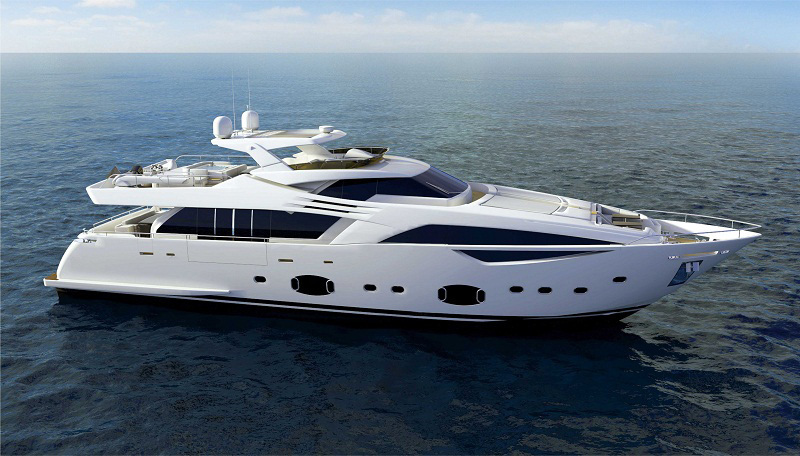 Custom Line who are a part of the Ferretti Group brand, operating in the production of fibreglass yachts measuring 26 to 37 metres, presents the new Custom Line 100’ project. For those who want a sneak preview of this superb yacht then be sure to visit the London International Boat Show that opens on the 6th of January 2011. 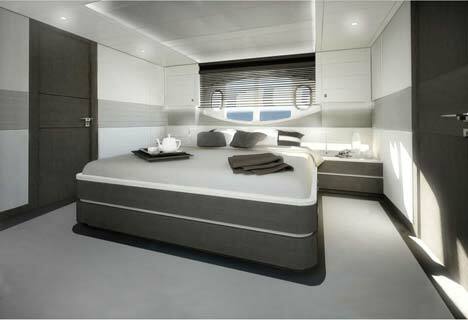 The Custom Line 100, developed through the close working relationship between Studio Zuccon International Project, the AYT – Advanced Yacht Technology, the Ferretti Group’s naval research and design centre, and the team of architects and designers at the Centro Stile Ferrettigroup, the Ferretti Custom Line 100’ project presents innovative features and extends the brand’s planing line, flanking those of the 124’, 112’ NEXT and 97’. 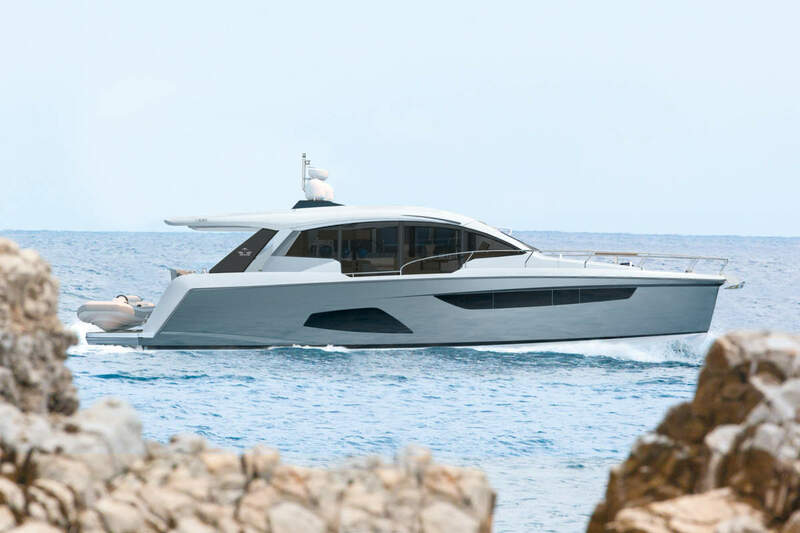 Externally, the precise lines of Ferretti Custom Line 100’ give the profile an extraordinarily sporty appearance, impressing any onlooker immediately. The overall impression is that of a lightweight model thanks to the presence of continuous glazing which extends from the stern of the main deck around to the raised helm station. On the Owner’s request, a glass door can be fitted in the right hand broadside of the salon, which opens out onto a foldaway terrace for direct contact with sea. 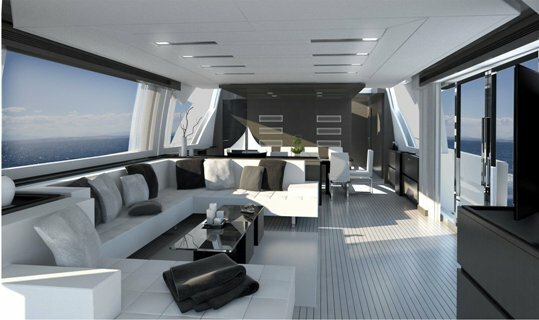 On the lower deck, besides the two large open view windows, a window has been built into the saxboard towards the bow, at the height of the master cabin. Light dominates the extraordinarily spacious interiors. The salon has been split into living and dining areas, and decked out with free standing furniture which can be chosen from a large selection of proposals and personalised solutions, as is the Ferretti Custom Line tradition. Painstaking attention has been paid to each and every detail of the interior décor, characterised by a contemporary style which harmoniously matches a range of different materials. 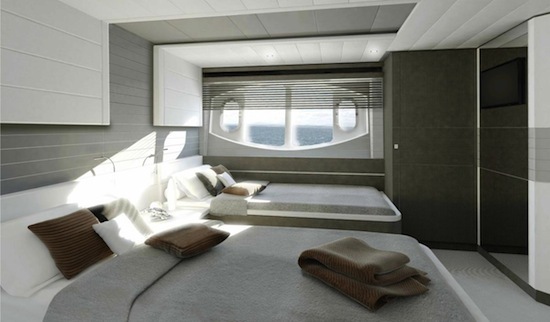 One particular new feature, unique to yachts of this segment, has been developed with the aim of improving the living conditions inside the yacht through the introduction of the wide body type near the bow area where the master cabin is located. This feature has led to a significant increase in on-board space and to creating new external routes typical of larger yachts. 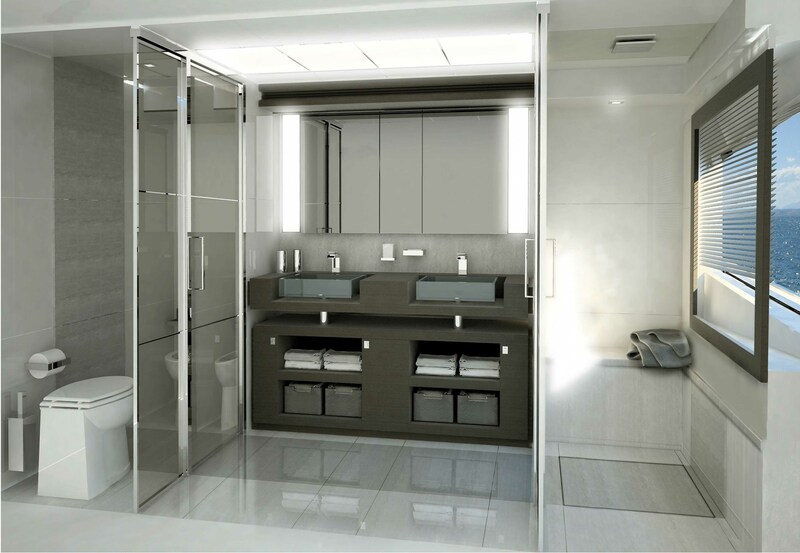 The areas below deck have also been wisely organised in the four guest cabins, all with ensuite heads and large open view windows over the sea. There is plenty of room for outdoor living, too, with a flybridge equipped with large sunpads and an external lounge at bow on the main deck. 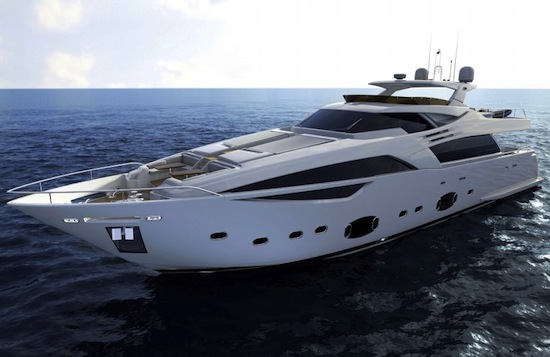 Ferretti Custom Line 100’ is fitted with twin MTU 2639mhp engines which drive the yacht to a top speed of 26 knots. 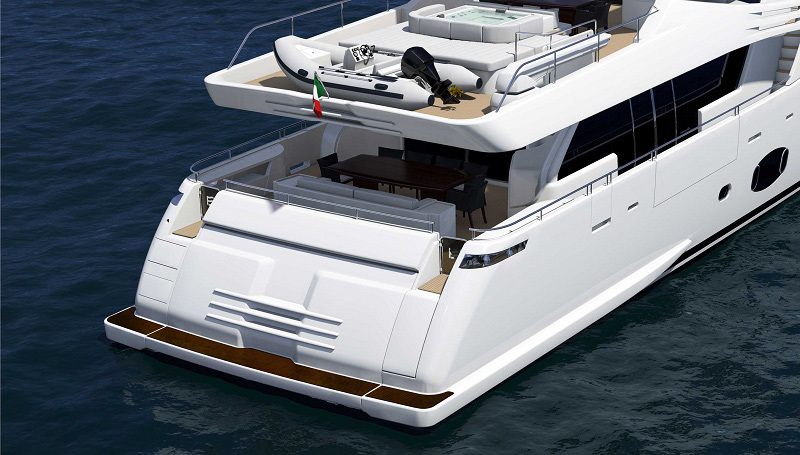 We think the Custom Line 100 will be very well received at the 2011 International Boat Show, a stage that will see the Ferretti Group show off their Custom Line Yacht range for the first time. Its sure to cause a stir amongst the British boat builders and their potential customers alike.